Situated on a working croft at Bracara on the shores of Loch Morar. 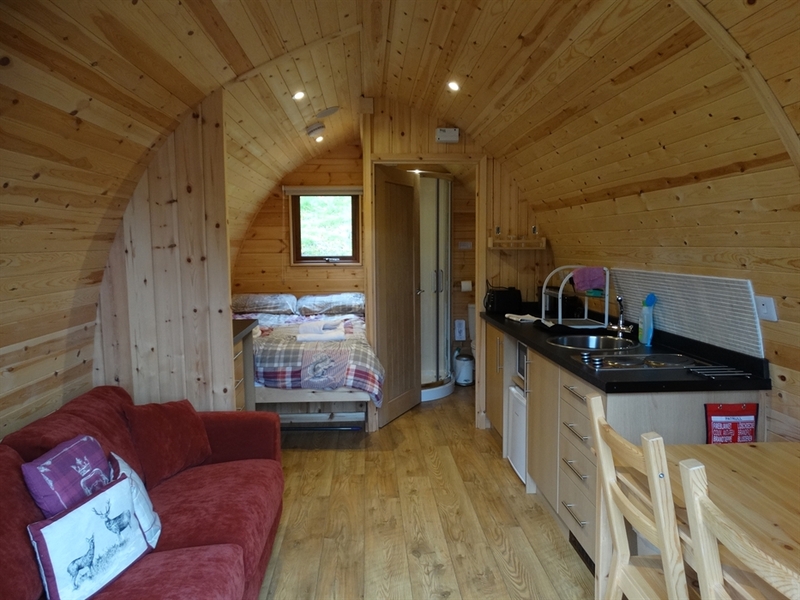 The Wee Lodge provides accommodation for 2 people in a wooden glamping lodge (approx 15 m2 ). The property is reached by wooden steps and gravel path through a wooded glade and has views over Loch Morar with an outside decked area. Get away from it all in the beautiful West Highlands. As this is a working croft with free range livestock and the owners Border Collies we are unable to accept Dogs. Parking is provided by means of a lay-by with a walk of approx. 50 meters to the accommodation down steps and a footpath. Double Bed, Shower room with heated towel rail, Kitchenette with Sink, two ring hob, fridge, microwave, kettle & toaster. Crockery, cutlery, and cooking utensils provided. Dining Table and Sofa, Electric heater. Blue tooth speaker system. Outside decking area with table and chairs and views of Loch Morar. Linen and towels provided. Electric included . Please note the property does not have TV, Wi-fi or phone reception.